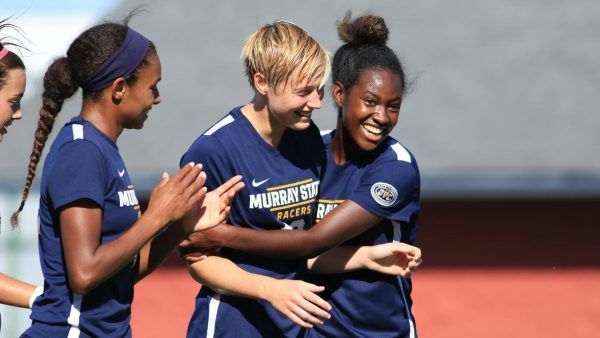 The Murray State College Racers Women’s Soccer Elite ID Camp is inviting all high school female soccer players who desire to take their game to the next level. It is a single-day event that will fall on the 16th of June. This soccer identification camp is going to take place at the leading-edge Crisp Soccer Complex which on the Murray State College campus. In addition, the camp will cover a wide range of training sessions that are geared on refining the participant’s technical and tactical capabilities. It will be a very enthusiastic training atmosphere that will challenge the players while still having fun. This event is an initiative of the Murray State College Racers women’s soccer coaching staff. Murray State University, formerly Murray State College, is a public, coeducational university in Murray, Kentucky. As a whole, the university has an accreditation from the Southern Association of Colleges and School, Commission on Colleges. Murray State University is using a semester-based academic calendar. Currently, it is serving around 8,900 undergraduate students. 42 percent of this undergraduate student population are male students and 58 percent are female students. This undergraduate student population is also through a selective enrollment acceptance rate of 85 percent. The university is also serving around 1,600 postgraduate students. Correspondingly, Murray State University’s student to faculty ratio is 15:1. Murray State University is also among the nation’s best academic institutions. As a matter of fact, it is 32nd in Regional Universities South of the 2018 edition of the US News and World Reports Best Colleges rankings. Murray State University is also 21st in the Best Colleges for Veterans rankings and 53rd in the Best Value Schools rankings. Moreover, in the sporting world, Murray State University is competing in the Ohio Valley Conference (OVC) of the National Collegiate Athletic Association (NCAA) Division I. They are the Racers and navy blue and gold are their identity colors. The university’s current president is Robert Davies. Head Coach Matt Lodge, a native of Doncaster, England is leading the Murray State College Racers women’s soccer team. He is entering his first year at the helm of the Racers women’s soccer program. He is the team’s former assistant coach. Coach Matt Lodge is part of the Racers’ three OVC regular-season title and two OVC tournament championships. Additionally, Coach Matt Lodge is a bachelor’s degree in psychology graduate from the University of Kentucky. He is also a United States Soccer Federation (USSF) “D” coaching license and an English Football Association Level 2 certificate holder. Then, the Murray State College Racers women’s soccer assistant coaches are Ryan Jones and Taylor Stevens. Coach Ryan Jones is also in his first season with the coaching staff. Coach Ryan Jones is a USSF “D” license and National Soccer Coaches Association of America (NSCAA) Goalkeeping Level 1 diploma holder. He is a bachelor’s degree in digital media graduate from Marywood University. Also, Coach Jones finished his master’s degree in public relations and strategic communications from Leeds Beckett University. Finally, Coach Taylor Stevens, a native of Fort Wayne, Indiana is entering her second season with the Racers coaching staff. She is a bachelor’s degree graduate from Murray State College. Join the Murray State College Racers Women's Soccer Elite ID Camp. It is going to fall on the 16th of June at the top-notch Crisp Soccer Complex in Murray, Kentucky. This soccer identification camp is especially for high school girls who are interested in playing at the college level. The camp is under the direction of the Murray State Racers women's soccer coaching staff.